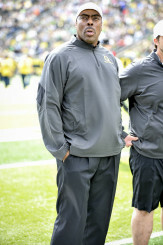 Pellum at the 2014 spring game, in his signature black jumpsuit. In Pellum’s first full season as the defensive coordinator, the Ducks were able to reach the National Championship, not bad for your first year on the job. 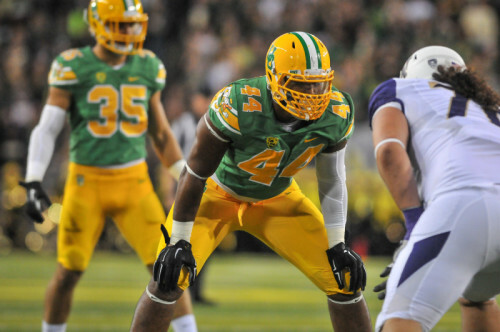 However, the 42-20 loss to Ohio State in the title game left some major question marks for the future of Oregon’s starting 11 on the defensive side. My colleague and fellow Fishduck.com writer Ashley Young and I met up with Pellum to discuss his initial reactions to the team’s first scrimmage of the spring.